DHA ONE – Small, once a day, easy to swallow softgel for the three stages of pregnancy. Purchase DHA One with Folate on Amazon! TriCare Prenatal™ DHA ONE® with Folate is the ultimate prenatal vitamin to support a healthy pregnancy. It is revolutionary, because it is small, easy to swallow, contains L-Methylfolate which is the active form of folate, and you only need to take 1 pill per day! 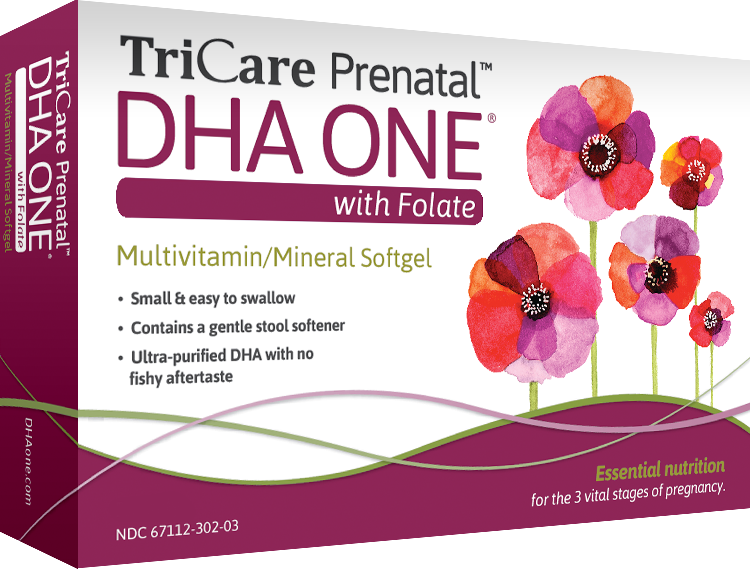 TriCare Prenatal™ DHA ONE® with Folate also has the most complete vitamin profile available. With TriCare Prenatal™ DHA ONE® with Folate, you will feel confident that you have selected the premier prenatal vitamin. Folate is shown to prevent neural tubular defects, as well as lower your baby's risk of other birth defects. Folate may also reduce the risk of preeclampsia, a serious blood pressure disorder that affects many women during pregnancy. TriCare Prenatal™ DHA ONE® with Folate. DHA plays an important role in the development of your baby’s nervous system. DHA supplementation during pregnancy can decrease the risk of premature labor, and it appears to reduce the risk of postpartum depression. Formulated for all three stages of pregnancy. with everything you need, and nothing you don’t. The biologically active form of vitamin B9, it is more bioavailable than folic acid, with no folate conversion necessary. tasteless with no fishy aftertaste. Does not contain calcium, which can block the absorption of iron. Purified for you and your baby. Don’t just take our word for it. Try it yourself. 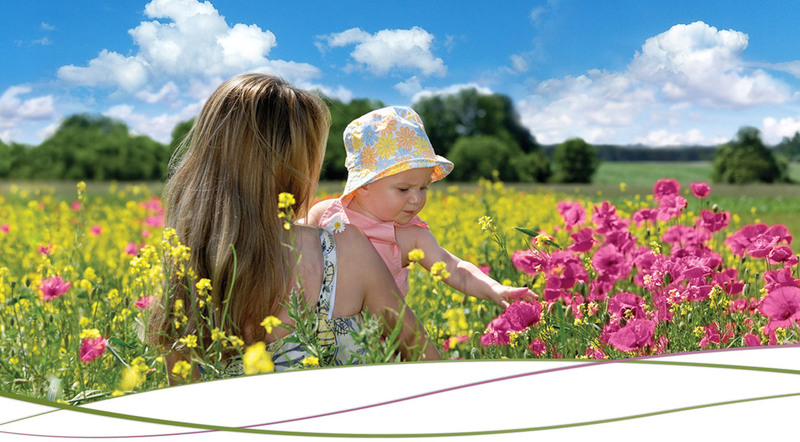 You will see that this revolutionary new prenatal vitamin is superior and convenient. You will feel confident that you have chosen the best prenatal available for you and your baby.